Better Than Never: Our Wedding Invitations! 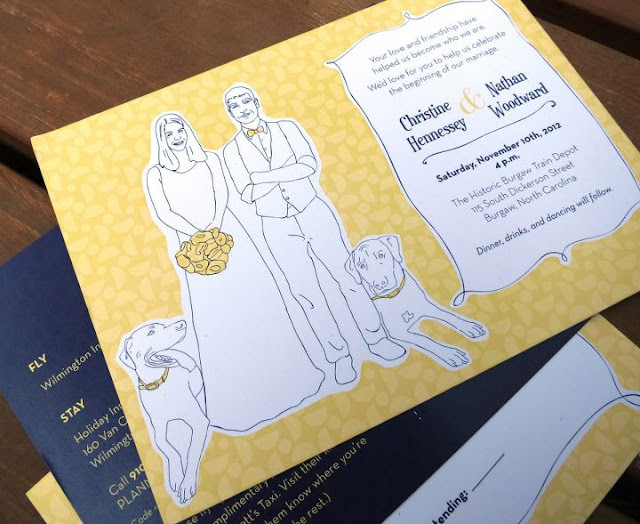 Our invites were designed by our friend Elma, a graphic designer who recently started her own business with her husband, George. We know George and Elma from our time in Texas - they moved to Montana right about the time we left for North Carolina, and they're a couple of the coolest people we're lucky to call friends. 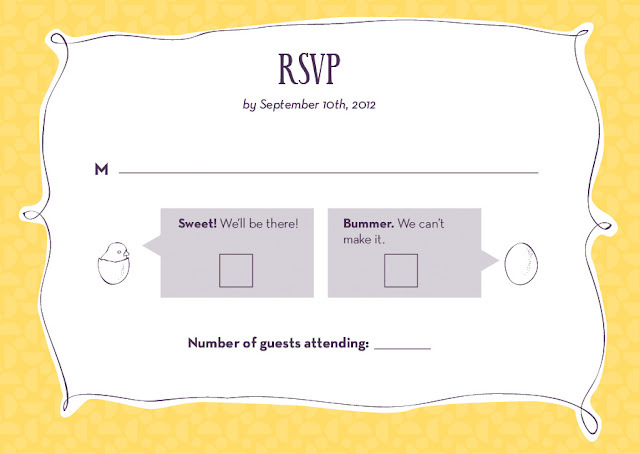 When Nathan and I decided to get married, we asked Elma to design a Save-the-Date. As soon as we saw it, we knew we had to beg her to make our invitations as well. Lucky for us, she was in. I sent her some ideas I had, including invites I liked, and explained the general vibe we were going for ("laid-back yet fancy, good friends and dancing, serious and sweet but also slightly irreverent"). 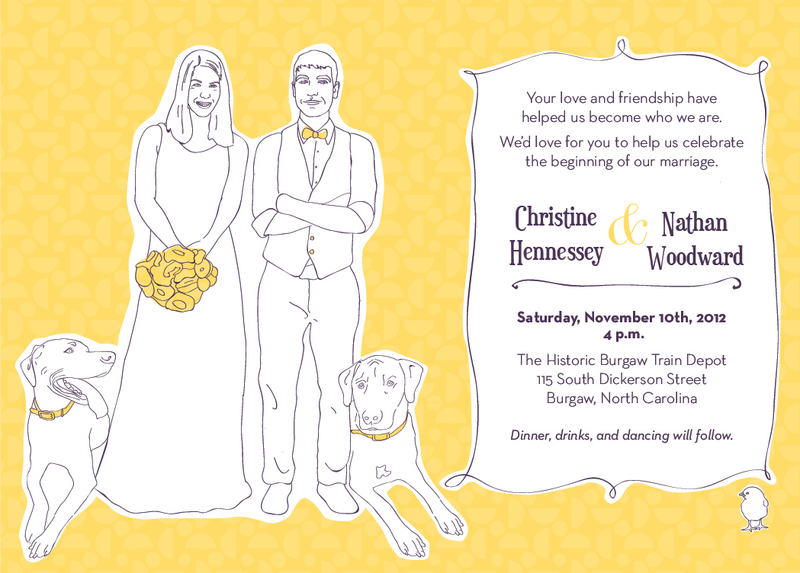 Some how she managed to translate that into an invitation that perfectly captured our personalities and our relationship - and even our dogs! Elma designed the invitations free of charge (we occasionally swap services, and I hope I can repay her in copy writing soon!) and my friend Erica's father generously offered to print them for free (he owns a copy business and is really, really nice). 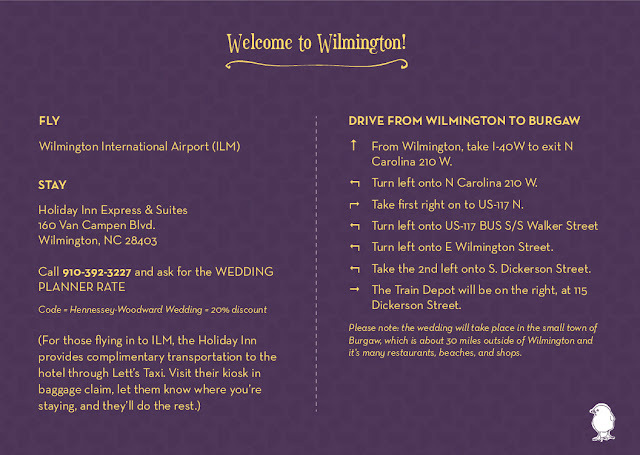 So basically, we got beautiful, custom made invitations, printed on nice paper, for $0 dollars. Sure, we had to drop $70 on stamps, but still - pretty amazing. Budget wedding FTW! 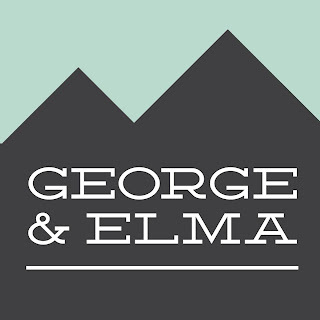 If you like our invites as much as we do, and if you're a fan of good design and smart marketing, check out George and Elma's website (still under construction) and like them on Facebook (and, while you're there, check out their recent projects, all of which are gorgeous and clever). This is not the last you'll see of our friends and their awesome design skills - Elma is going to do a few more things for our wedding, and I'm looking forward to sharing those items once they're ready to go. Which will be soon, seeing as the wedding is just over two months away! Luckily we have most of the big stuff taken care of - now it's time to focus on fun things, like favors, depot decor, rings, centerpieces, programs, seating charts, guest book, music, finalizing the menu... Okay, so we still have a lot of things to take care of, but as far as I'm concerned those are all extras - fun and exciting extras, but not absolutely necessary. The necessary stuff, the stuff that ensures we will be legally married on November 10, and that our guests will be relatively happy? That's been taken care of, and, at the end of the day, that's all that really matters. But I still plan to get the rest of those little things done. I'm a sucker for pretty little details.